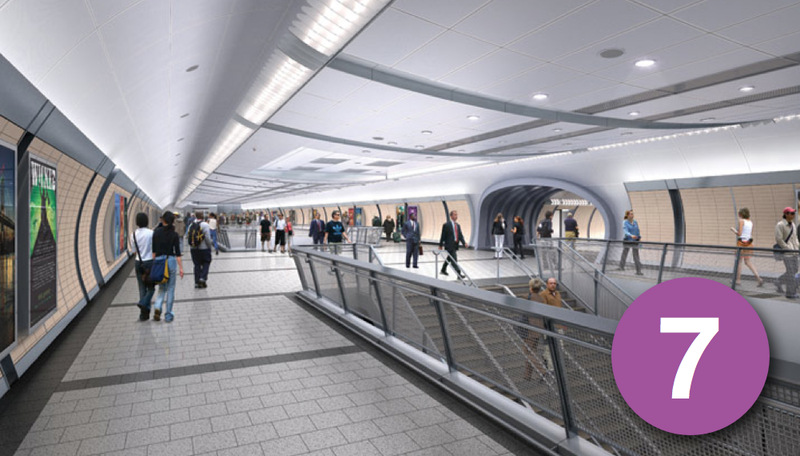 In light of Governor Cuomo’s muffed AirTrain announcement, a look at how transit-oriented development may ultimately bring a true one-seat rail link to LaGuardia Airport through the broader expansion of mass transit in Queens. 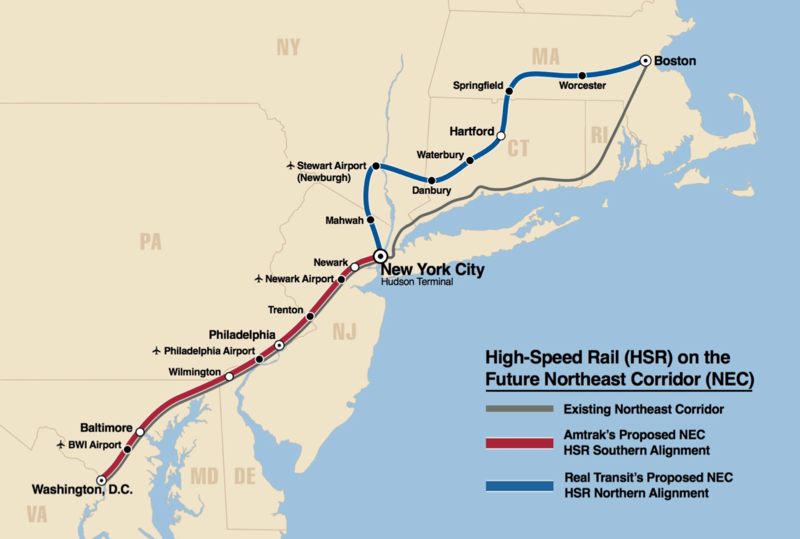 Planning for a New Northeast Corridor puts forth a clear vision for the development of a modern, high-speed Northeast Corridor and broader high-speed rail network throughout the country. 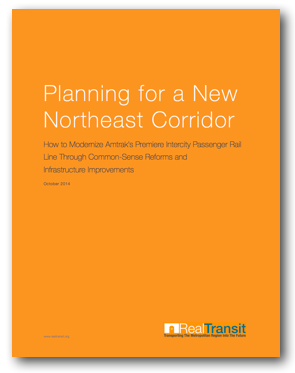 First, this report looks at the current state of intercity passenger rail in the United States, including the origins of Amtrak, the Northeast Corridor, and the Acela Express. Considering the changing demographics, infrastructure, and real estate development along the Hudson River waterfront and within the region as a whole, it is critical that metropolitan residents and visitors have access to a midtown ferry terminal that provides direct connections to mass transit. 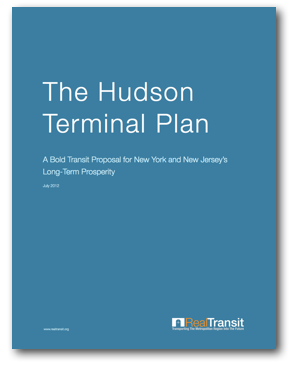 In order to best accomplish this goal, Real Transit has proposed the construction of Hudson Terminal, which would incorporate a ferry terminal within a larger regional rail and subway station. The Meadowlands train station works. But it has never really worked. 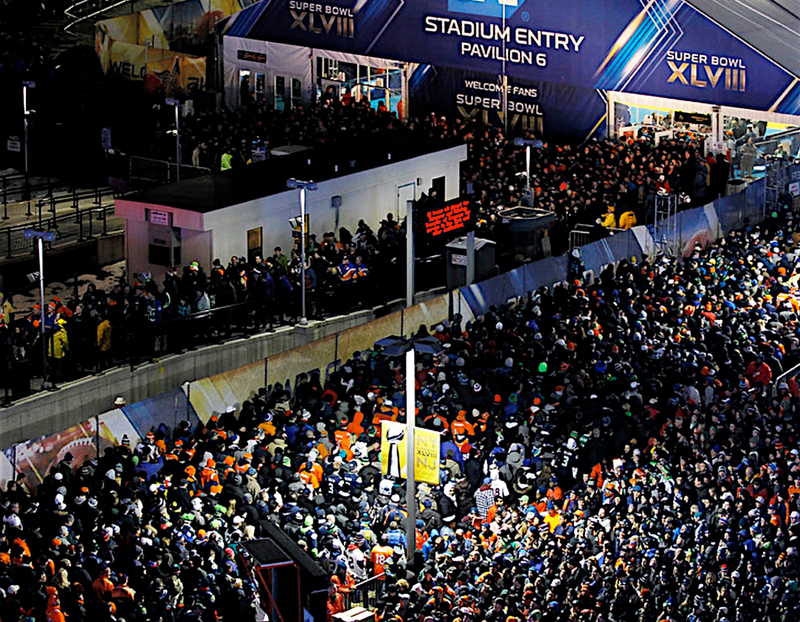 Thus, even though many were shocked by NJ Transit’s inability to accomodate tens of thousands of departing football fans after the Super Bowl, for those who are familiar with the Meadowlands train station, this was nothing really shocking at all. 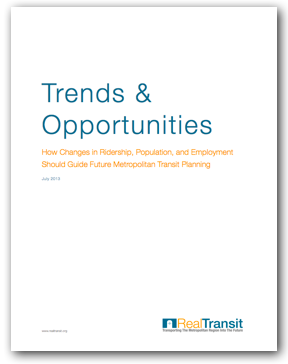 The Trends & Opportunities Report for 2013 is the first of Real Transit’s annual reports looking at the most important metropolitan transit trends and potential opportunities for transit expansion. On the day before the busiest travel day in America, right at the start of rush hour, an Amtrak train became disabled outside one of the North River Tunnels in New Jersey. Crews cleared the track within a half hour, but in the end, the disabled car set off an all too familiar chain reaction that ultimately left the busiest train station in America in disarray. What is it about the black and white images of the original Penn Station that tickle the imagination of transit enthusiasts? Just the mention of Penn Station and some people begin waxing nostalgic about a place in which they’ve never actually stepped foot. 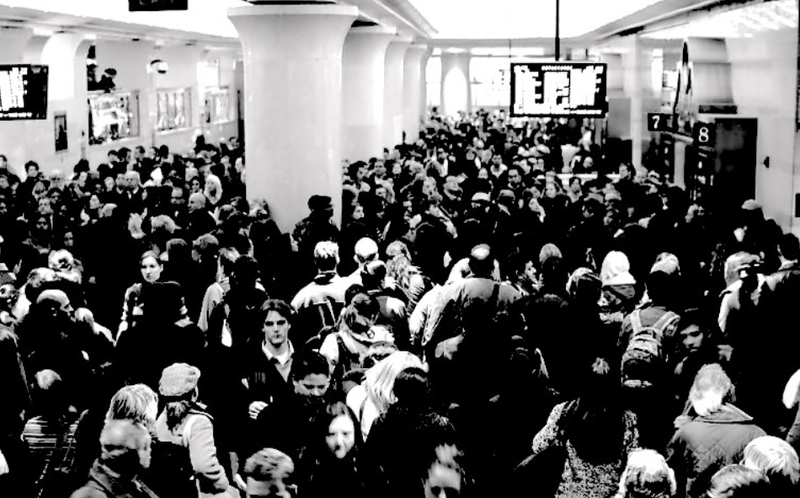 We tend to forget that by the 1960s, Penn Station was falling apart, and rail travel was on the rapid decline. Still, this was no excuse to tear down a beaux-arts masterpiece. 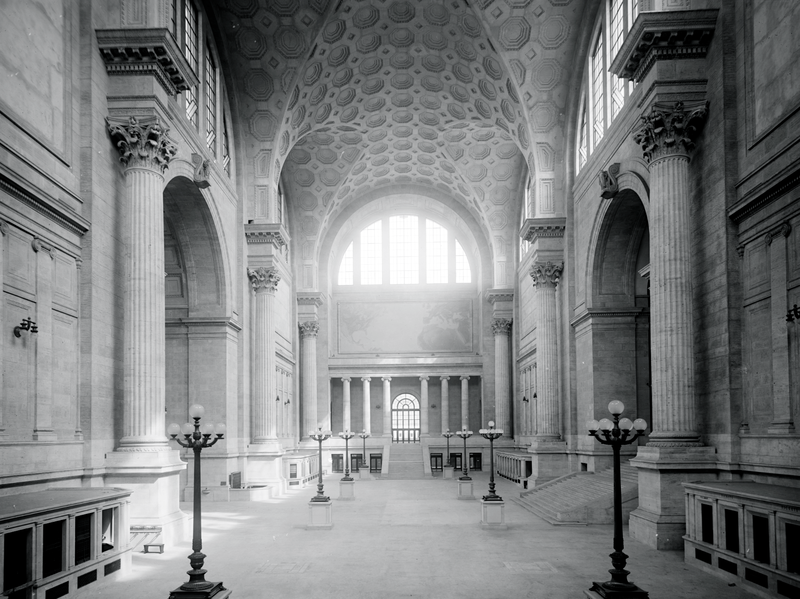 New York City needed a bold solution to address its changing transportation landscape, but also needed to preserve and restore its long-neglected, world-class train station. 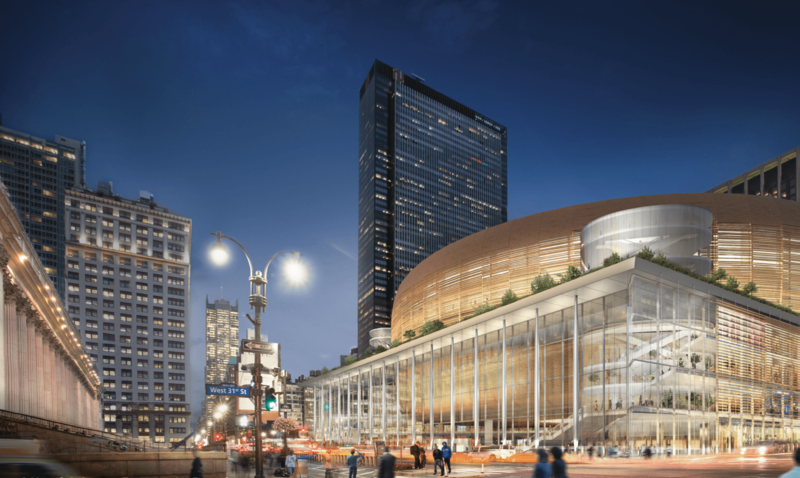 Instead, city leaders approved the construction of the current Madison Square Garden complex and the fate of the original Penn Station was sealed. The historic Pier 57, located on the Hudson River between 15th and 16th Streets, was reconstructed from 1950 to 1954 on floating concrete caissons following a fire in the original structure. Between 1967 and 2003, Pier 57 was used as a bus garage and maintenance facility by the Manhattan and Bronx Surface Transportation Operating Authority and later the MTA. 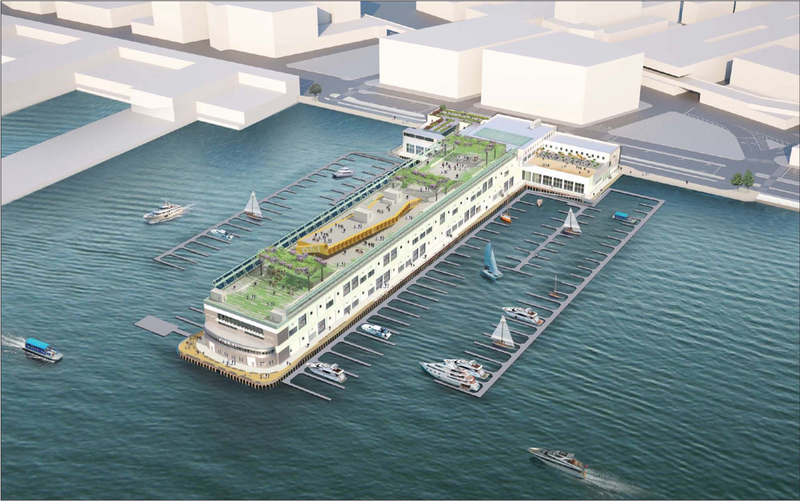 The pier has been vacant since 2004, and soon after, proposals for its future use began appearing from a number of prospective developers. 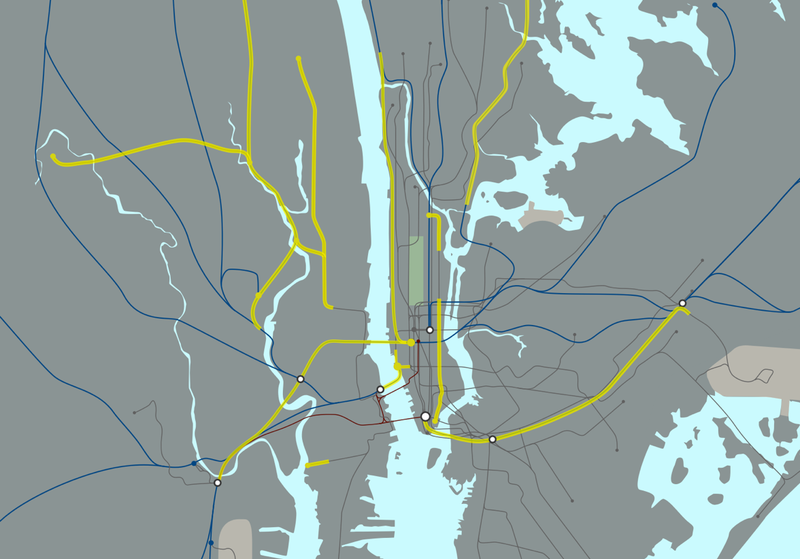 On October 29, 2012, Hurricane Sandy swept through the metropolitan region, devastating its public transportation networks. 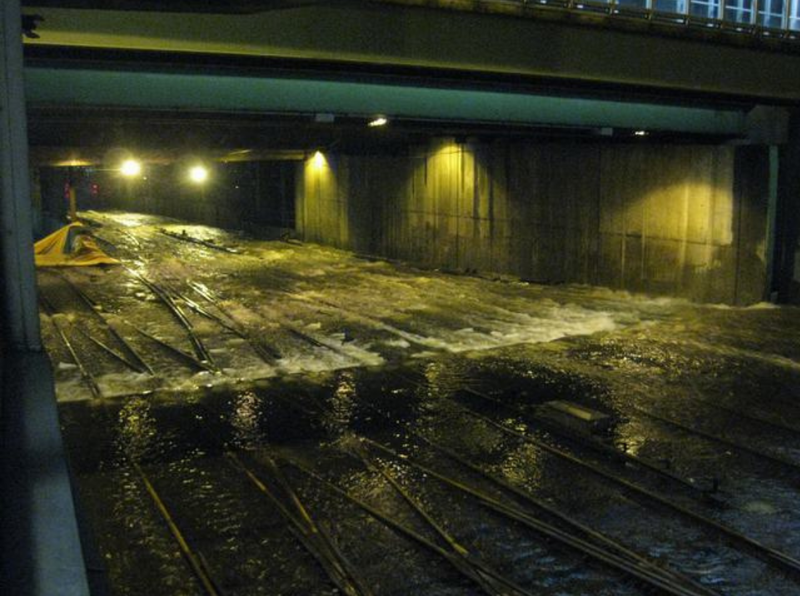 Commuter rail and subway lines flooded and lost power, crippling mass transit throughout New York, New Jersey, and Connecticut. While most lines have restored service in the weeks following the storm, the temporary suspension of our mass transit systems revealed a lot about how we should invest in our future infrastructure. 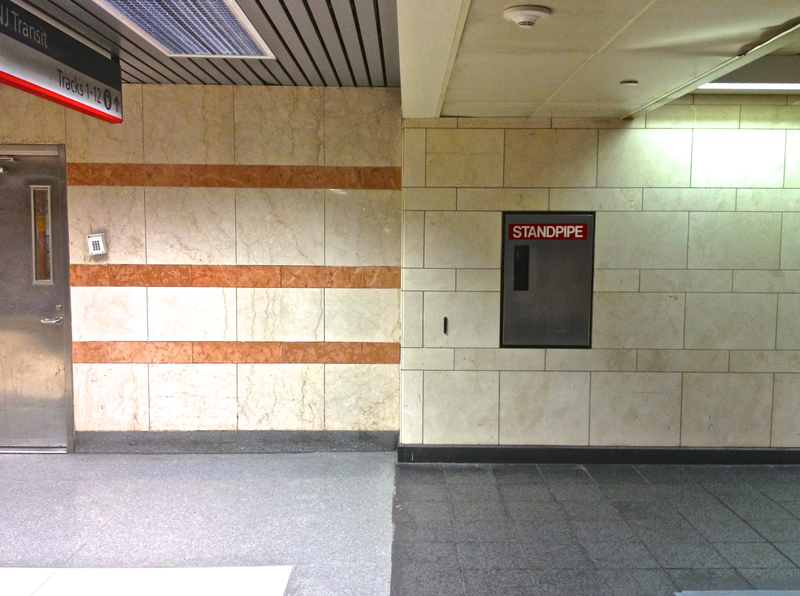 During its rebuilding in the 1960s, Penn Station, which used to exclusively serve the Pennsylvania Railroad, was sectioned off for three different rail operators: Amtrak, NJ Transit, and LIRR. However, today, the allocation of station space and track resources is highly disproportionate to each transit system’s use of Penn Station. 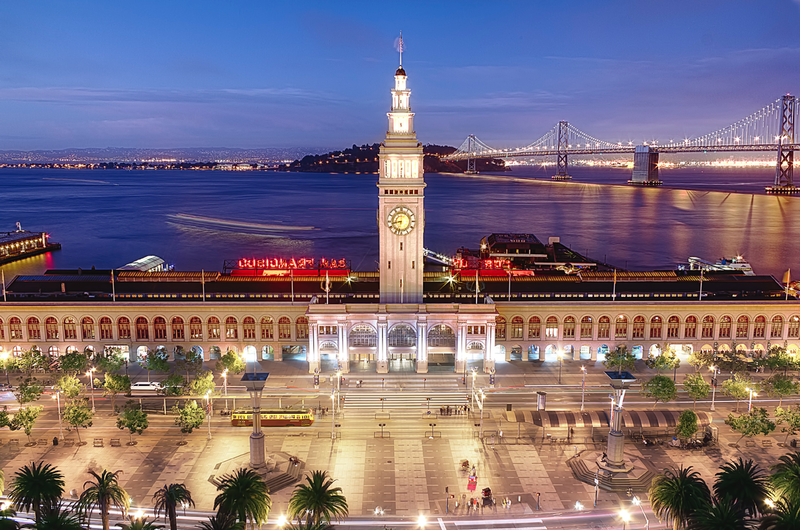 In terms of budgeting, Amtrak has, over the past three years, received federal subsidies averaging $1.5 billion and has seen ridership steadily climb from around 21 million passengers in 2000 to over 30 million passengers in 2011. 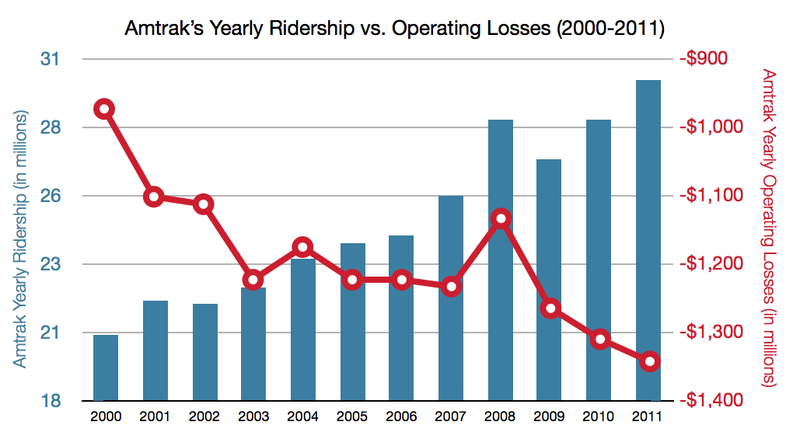 However, despite this apparent growth, Amtrak has operated at an average loss of over $1.2 billion since 2009. 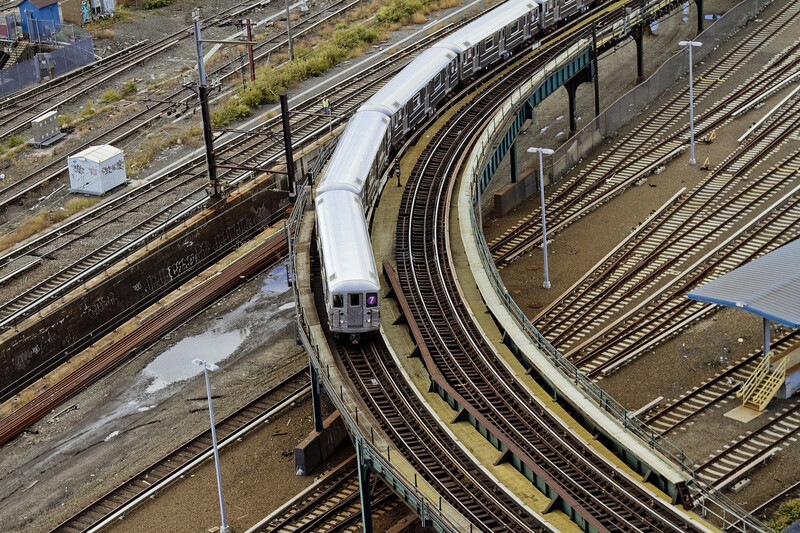 The one-stop extension of the 7 Line to 34th Street makes sense...for now. Such was the sentiment of M.T.A. chairman Joe Lhota, speaking at the Regional Plan Association’s 22nd annual regional assembly. 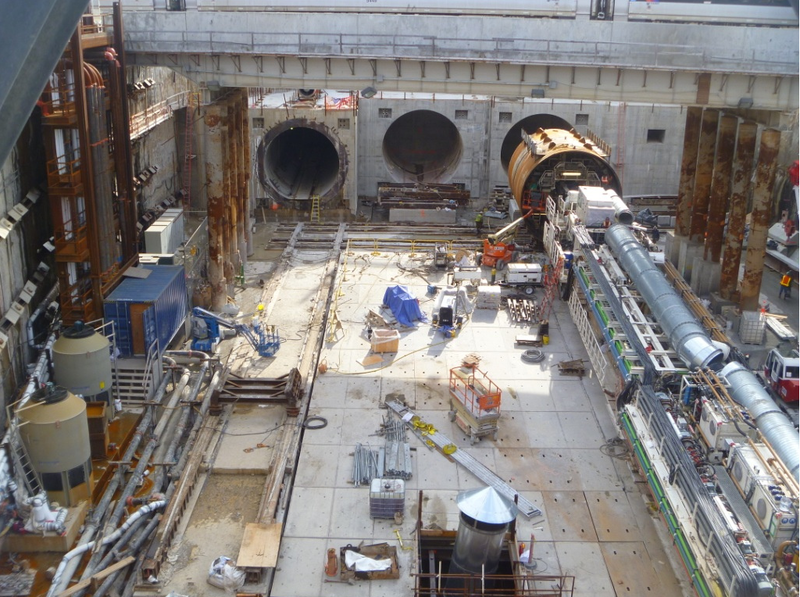 Last night, crews working on the MTA’s East Side Access project brought a 642-ton tunnel boring machine to a halt underneath Sunnyside Yard in Queens seven weeks ahead of schedule, completing the third of four tunnels the MTA is building in Queens.